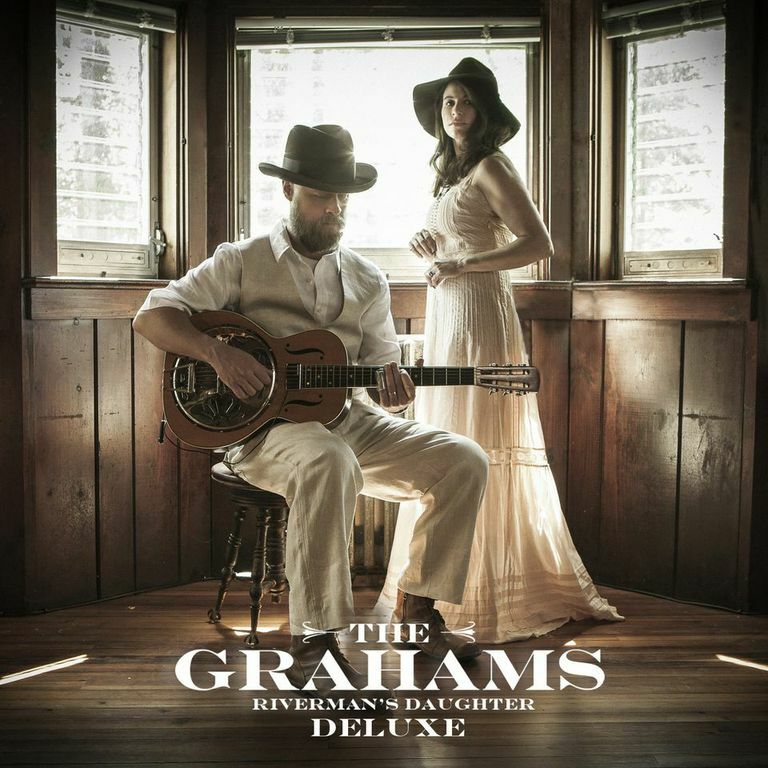 The Grahams’ debut album, Riverman’s Daughter, took more that two years to create. It all started in the classroom, where future bandmates Alyssa and Doug Graham met as first grade students, and continued in the streets of New York City, where the two began dating as teenagers. Years later, the grownup high-school sweethearts got married and decided to hit the Great River Road, a winding, twisting stretch of pavement that parallels the Mississippi River. It was there that the songs from Riverman’s Daughter began to take shape, and the Grahams’ eventually found themselves flush with tunes… including more material than they could release. That bring us up to today, when the deluxe version of that album — a souped-up version featuring six unreleased tunes, from live acoustic performances to studio B-sides inspired by the juke joints and rolling landscapes flanking the river — hits stores. The lovebirds get a little help from their friends, too, including the North Mississippi Allstars, who make cameo appearances on “Springfield ’61.” There’s also a cover of Neil Young’s “Down by the River,” an appropriate song for an album inspired by rolling water and muddy riverbanks. Stream the full album, including the six bonus tracks, below.